It is with great sadness to report that West Gate Lodge #128 has lost a brother to the Celestial Lodge. 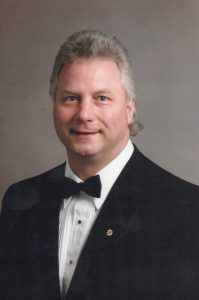 WB Philip Nylin is a beloved brother to the lodge who is one of West Gate’s finest teachers of the craft. Phil is succeeded by his wife Jan, daughter Jennifer, and his son, Phil Jr.
Phil had recently received his 25-Year Achievement and Hiram Award in 2015. The Hiram Award is also known as the Mason of The Year Award which he also received in 1992. To obtain this honor twice is a feat that shows the dedication and love that Phil had for his Lodge. Below is a picture of WB Phil Nylin in the East in 1993. Please hold him and his family in your prayers.